Earlier this month, at Spectrum Fantastic Art Live, Marc Scheff & I presented three Art Business Bootcamps, drawn from the material we're working on for the Make Art Work book. If you haven't heard about this yet, then check out my previous Muddy Colors post on the book project. Since the Bootcamps were so popular at Spectrum that we ran out of prints, we promised to make pdfs of the one-sheets available after the con—now revised after a bunch of input from artists and art directors alike. In my last column I released the one-sheet from the first Bootcamp, Getting You Found: Self-Promotion, Social Media, & Approaching Art Directors. Go check it out. 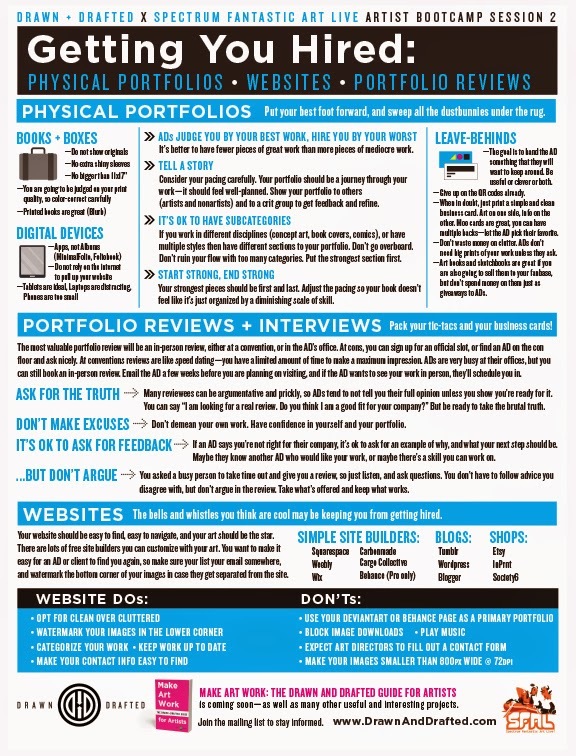 Now we're releasing the one-sheet from the second Bootcamp: Getting You Hired: Physical Portfolios, Website Portfolios, & Portfolio Reviews. This is the topic we art directors probably get the most questions about, and we're happy to share all the information with those of you who couldn't be at the Bootcamp. We're still hard at work on the book, so definitely let us know in the comments below if there's anything you want to make sure we cover on these topics (or any Art Biz topics) in the final guide. These one sheets are both a microcosm and a starting point for related sections in the book, so we want to know if you're left with deeper questions. Ask questions or make suggestions in the comments below, and we'll make sure we've got all the bases covered. We want this book to be the most useful stack of paper on your bookshelf, and we know we can do it together. 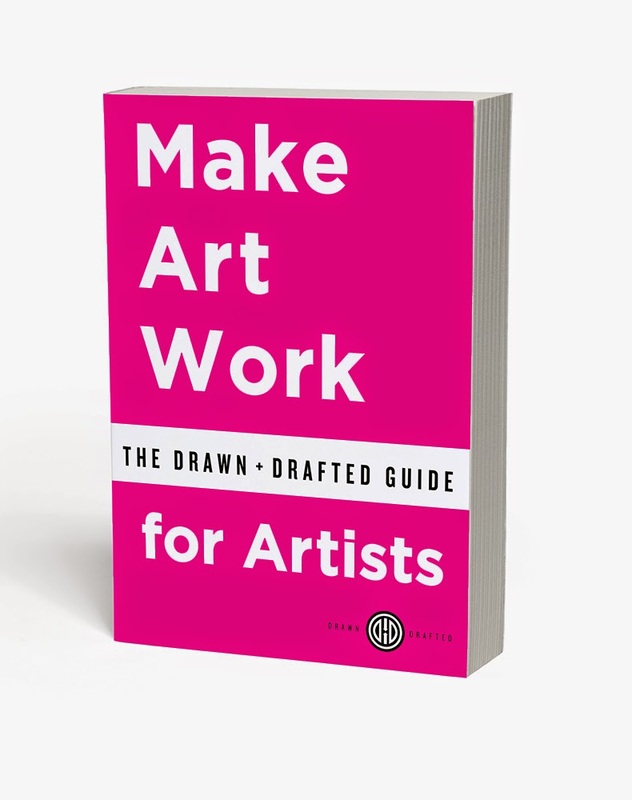 This is a group effort, and many art directors and artists and students and lawyers and accountants and assorted other experts are all contributing to make this book the one place you can find all the essential information about growing a solid career as an Illustrator or Designer.